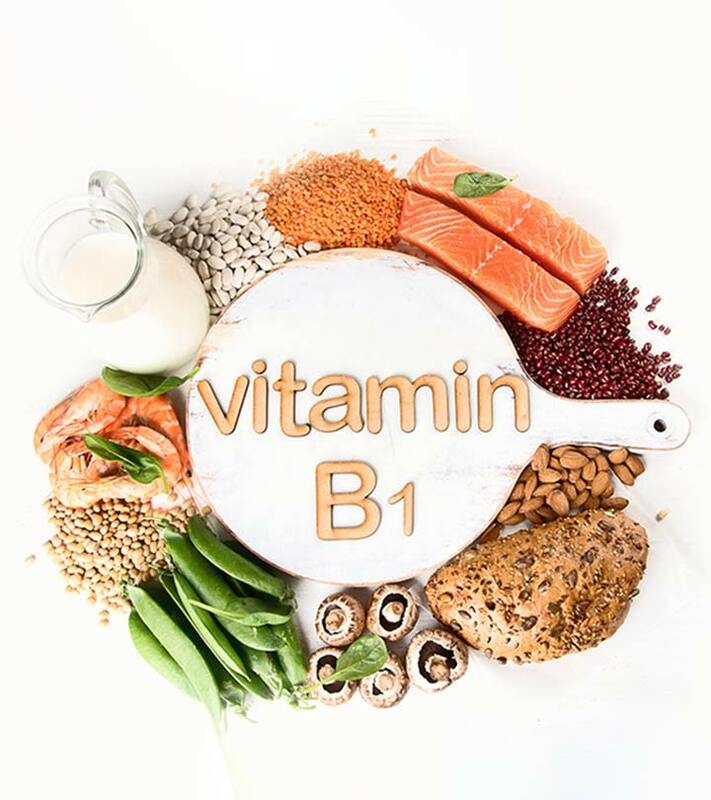 Thiamine or vitamin B1 is a water-soluble nutrient that enables the body to use carbohydrates as energy. It also plays a role in the functioning of the heart, muscles, and nerves. There are other ways thiamine benefits the human body – and this is why we ought to know more about it. How Does Thiamine Function In Your Body? What Are The Foods Rich In Thiamine? What Are The Effects Of Excess Thiamine? Thiamine helps the body’s cells convert carbohydrates into energy, which, in turn, powers the brain and the nervous system. The nutrient also has a role to play in muscle contraction and the conduction of nerve signals. Ingested thiamine is absorbed in the small intestine before it is transported across the body. It is thought to play a role in diabetes and heart disease. Studies show that the supplementation of this nutrient could bring down the rates of these ailments (1), (2). Thiamine in the human body is primarily stored in the liver, though only in small amounts. The body cannot produce thiamine – one needs a constant supply of it through diet. This can be achieved by including foods in your diet that are rich in thiamine. 1 boneless pork chop (150 g) contains 0.9 mg of thiamine, which meets 63% of the daily value. Studies show that the thiamine in pork (and other sources) can help treat delirium. The vitamin enhances neuronal actives, thereby promoting brain health (3). Regular intake of fresh lean pork is also associated with improved body composition (4). You can include strips of pork between toasted bread slices for a delicious ham sandwich. Remember to cook it properly. Pork might be infected by larvae of worms, and eating it raw or undercooked may cause dangerous infections (5). 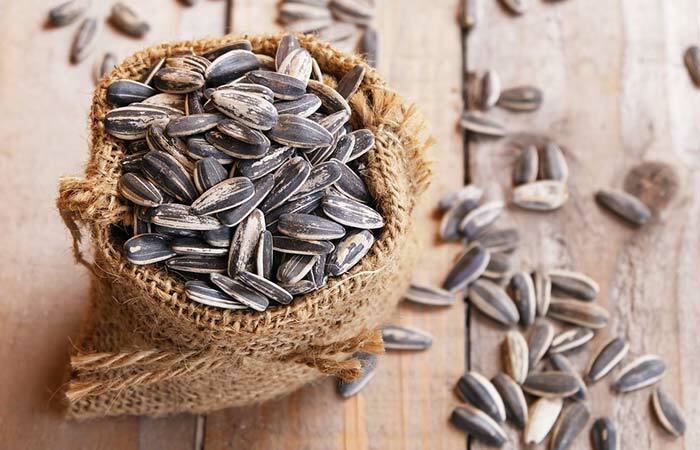 1 cup of sunflower seeds, with hulls (46 g), contains 0.7 mg of thiamine, which meets 45% of the daily value. Sunflower seeds were also found to cut the risk of heart disease in patients with type 2 diabetes. Regular intake of the seeds could reduce the levels of total cholesterol as well as low-density lipoprotein (LDL, or bad cholesterol) (6). You can add sunflower seeds to scrambled eggs to give them a crunchy texture. You can also have roasted or salted sunflower seeds as a delicious snack. 1 cup of black beans (172 g) contains 0.4 mg of thiamine, which meets 28% of the daily value. In addition to thiamine, black beans are also replete with bioactive components that fight oxidative stress and cut the risk of cardiovascular disease. Studies show that the fiber in the beans can play a role in the treatment of metabolic syndrome (7). Red kidney beans and soybeans are also good sources of thiamine. You can add black beans to your favorite pasta. You can also stir them into your soup or top them on your evening salads. 1 cup of peas (160 g) contains 0.4 mg of thiamine, which meets 28% of the daily value. Peas also contribute to gastrointestinal health, thanks to the fiber on the seed coat. Apart from thiamine, peas are also rich in selenium and folate and help prevent diseases associated with the deficiencies of those minerals (8). The flavonoids and phenols in peas also play a role in preventing cancer (9). Add fresh peas to your evening salad. 1 cup of oats (81 g) contains 0.4 mg of thiamine, which meets 25% of the daily value. Oats are also replete with phytochemicals and dietary fibers that have great benefits for human health (10). They also contain another substance called beta-glucan that promotes cardiovascular health (11). You can add a spoonful of oats to your morning smoothie. Incorporate oats into your pudding. You can also replace the flour in your cake recipe with rolled oats. 1 steak of lean beef (375 g) contains 0.3 mg of thiamine, which meets 22% of the daily value. Beef is rich in proteins that promote satiety and aid weight loss. It also contains branched-chain amino acids that offer metabolic benefits (12). You can add a garnish of cooked beef to your evening vegetable salad. Just like other forms of red meat, make sure you cook beef properly to avoid worm infections (13). 1 cup of acorn squash cubes (205 g) contains 0.3 mg of thiamine, which meets 23% of the daily value. Acorn squash (and other fruits from the same family) also contains potent antioxidants that exhibit neuroprotective effects (14). Acorn squash is also rich in dietary fibers that promote a feeling of fullness – and potentially induce weight loss. You can puree steamed acorn squash and use it as sauce over pasta or meats. 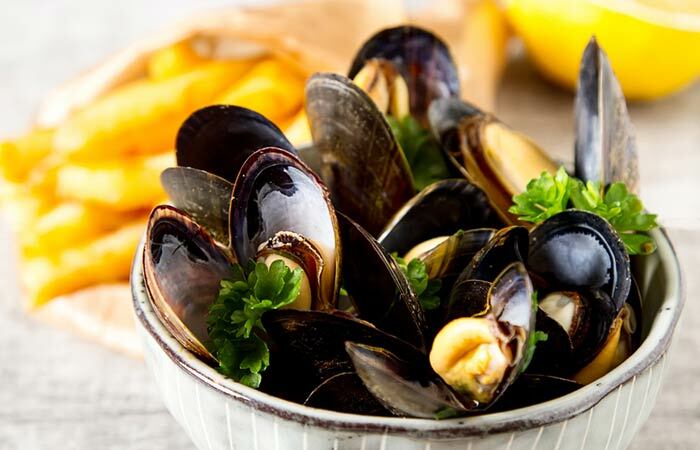 3 oz of mussels (85 g) contains 0.3 mg of thiamine, which meets 17% of the daily value. Mussels are also healthy sources of protein (and are low in fat). They are also rich in omega-3 fatty acids and contain other nutrients like vitamin B12, phosphorus, and iron. You can add steamed mussels to a bowl, along with lemon juice and fresh herbs. This makes for a nutrient-dense snack. Remember to cook them thoroughly to avoid food-borne illnesses. 1 large orange (184 g) contains 0.2 mg of thiamine, which meets 11% of the daily value. Apart from thiamine, oranges also contain vitamin C (which they are an excellent source of). Vitamin C is associated with increased immunity and protection against serious ailments like cancer (15). You can eat whole oranges as a tasty evening snack. You may also make sliced oranges a part of your evening/morning fruit salad. About 5 large eggs (243 g) contain 0.2 mg of thiamine, which meets 11% of the daily value. In addition to thiamine, eggs contain other essential nutrients. They are a few of the most nutritious foods on the planet. Eggs are high in protein that helps build muscle and combats fatigue. Eggs also play the role of a major source of nutrition for pregnant women and the elderly (16). You can eat boiled whole eggs for breakfast. You can also make scrambled eggs and spread over your breakfast toast. 1 slice of beef liver (68 g) contains 0.1 mg of thiamine, which meets 9% of the daily value. Beef liver can also serve as a great alternative source of protein. The food is abundant in iron as well. Both the nutrients, along with thiamine, boost your immunity and protect you from diseases. You can eat stir-fried strips of beef liver loaded with healthy veggies like bell peppers and mushrooms. You may also top cubes of beef liver on your morning vegetable salad. Just remember to cook beef liver properly to avoid worm infections. 1 cup of plain, low-fat yogurt (245 g) contains 0.1 mg of thiamine, which meets 7% of the daily value. Yogurt also is a rich source of probiotics that promote gastrointestinal health. Low-fat yogurt also helps decrease inflammation (17). A bowl of yogurt with pieces of fruit can make for a wonderful breakfast (18). 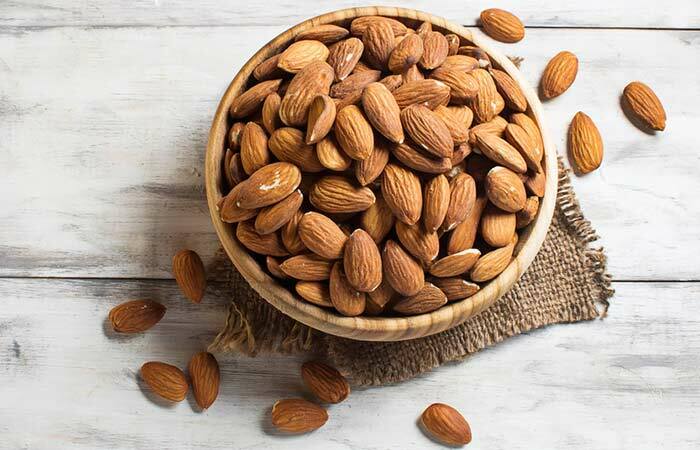 1 ounce of almonds (28 g) contains 0.1 mg of thiamine, which meets 4% of the daily value. Almonds are also rich in monounsaturated fats and fiber – both of which help with cholesterol reduction. Almonds can cut the risk of developing diabetes or cardiovascular diseases. Like almonds, walnuts are also good sources of thiamine. You can eat a handful of whole almonds along with your breakfast. You may also sprinkle almonds over your evening salad. 1 can of tuna (165 g) contains 0.1 mg of thiamine, which meets 4% of the daily value. While the thiamine in the fish contributes to nerve health, the omega-3 fatty acids it contains promote heart and brain health. It also contains significant amounts of vitamins D and A, which enhance bone and vision health respectively. You can add pieces of tuna to your green veggie salad. You can also add slices of tuna to your breakfast sandwich. Make sure you have tuna no more than twice to thrice a week – it may contain mercury, and you would want to reduce the intake of the contaminant as much as possible. Including these foods in your diet can ensure a healthy dose of thiamine. But the question is – why should you do that? What is the big deal about thiamine? Thiamine has a major role to play in heart and brain health. Studies show that its supplementation could reduce symptoms of heart and brain issues. There is evidence that adequate thiamine can prevent diabetes complications. Beri beri is a disease associated with thiamine deficiency. The symptoms include loss of appetite, weakness and pain in the limbs, and shortness of breath. Patients with beri beri showed improvement following supplementation of thiamine (19). Treatment with thiamine also improved the condition in patients with systolic heart failure. In fact, thiamine deficiency is considered common in patients with congestive heart failure (20). In another study, thiamine supplementation was found to improve the symptoms of heart failure – including cardiac function, urine output, and weight loss (21). Thiamine therapy may have larger roles in the future towards diabetes treatment. Correction of thiamine deficiency had prevented several symptoms of diabetes – including diabetic nephropathy, neuropathy, and retinopathy (22). In a study, participants who took a 50 mg dose of thiamine every day for two months reported improved levels of clearheadedness and energy (23). Thiamine also helps correct alcohol-induced brain damage (24). Excess intake of alcohol reduces the absorption of thiamine from the gastrointestinal tract, leading to progressive brain damage. In studies conducted among older Chinese adults, thiamine deficiency was linked to depressive symptoms (25). This can be associated with the link thiamine may have with alcohol. We saw that excess alcohol intake could obstruct the absorption of thiamine. Excess alcohol intake can also stress the liver. One study concludes that thiamine must be given to patients with liver cirrhosis – no matter what the cause of the cirrhosis is (26). Studies also show that thiamine must be administered to patients with alcohol withdrawal syndrome (27). Thiamine deficiency was also linked to visual loss and swelling of the optic nerve head. The study discusses the case of a 39-year-old woman with foggy vision, whose conditions improved post thiamine supplementation (28). Though visual loss is a rare manifestation of thiamine deficiency, it is crucial to understand the importance of thiamine in vision health. In a study, patients who had undergone gastric bypass surgery (who also had thiamine deficiency) complained of frequent constipation. The study tells us to consider the possibility of thiamine deficiency being the cause for constipation – at least in this case (29). Low thiamine levels may also slow down digestion, leading to constipation. Correcting the deficiency may help. A high dose of thiamine was found to reduce fatigue in cases of multiple sclerosis. The fatigue associated with MS may be associated with an intracellular deficiency of thiamine (30). These benefits tell us how important thiamine is. They also tell us how serious thiamine deficiency can be. This deficiency is not often discussed, but given its scary implications, it is important we should. Wondering about the dosage? The usual dose of thiamine is 5 to 30 mg per day. In the case of severe deficiency, the dose might go up to 300 mg per day. Knowing the dosage can help better if you are going for supplements. We recommend you speak to your nutritionist before doing so because excess of thiamine can cause problems too. Thiamine is safe when taken in the recommended amount of 1.4 mg per day. Not enough is known about higher dosages. Stick to normal food amounts. These include nausea, sweating, mild rashes or itching, restlessness, and a tight feeling in the throat. Blue lips, chest pain, shortness of breath, black or bloody stools, or coughing up blood – please visit your doctor immediately if you experience these side effects. 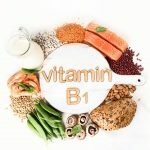 Thiamine is an essential part of the B-complex vitamins. It has several functions in the human body. A deficiency in this vitamin could be rare – but that in no way means you shouldn’t take care. Make the foods a regular part of your balanced diet to keep you healthy and robust for a long time to come. Have you ever experienced thiamine deficiency? What were the symptoms you faced, and how did you overcome them? Do let us know by leaving a comment in the box below. “High-dose thiamine supplementation improves…” European Journal of Nutrition, US National Library of Medicine. “Thiamine supplementation for the treatment of…” Congestive Heart Failure, US National Library of Medicine. “Thiamine deficiency and delirium” Innovations in Clinical Neuroscience, US National Library of Medicine. “Effects of eating fresh lean pork on…” Nutrients, US National Library of Medicine. “Trichinellosis FAQs” Centers for Disease Control and Prevention. “Markers of cardiovascular risk in…” ISRN Nutrition, US National Library of Medicine. “Black beans, fiber, and antioxidant capacity…” Nutrients, US National Library of Medicine. “Review of the health benefits of peas” British Journal of Nutrition, Cambridge University Press. “Pea, Pisum sativum, and its…” Pharmacognosy Review, US National Library of Medicine. “Nutritional advantages of oats and…” Journal of Food Science and Technology, US National Library of Medicine. “Oats, more than just a whole grain…” The British Journal of Nutrition, US National Library of Medicine. “A contribution of beef to human health” The Scientific World Journal, US National Library of Medicine. “Taeniasis FAQs” Centers for Disease Control and Prevention. “Protective effect of Cucurbita pepo fruit…” Pakistan Journal of Pharmaceutical Sciences, US National Library of Medicine. “Vitamin C and immune cell function in inflammation…” Biochemical Society Transactions, US National Library of Medicine. “Egg and egg-derived foods: effects on human health…” Nutrients, US National Library of Medicine. “VA dietitian encourages eating yogurt…” US Department of Veteran Affairs. “Potential health benefits of combining yogurt…” Advances in Nutrition, US National Library of Medicine. “A case of cardiac beriberi: a forgotten but…” Korean Circulation Journal, US National Library of Medicine. “Effects of thiamine on cardiac function in…” the Ochsner Journal, US National Library of Medicine. “Thiamine supplementation for the treatment…” Congestive Heart Failure, US National Library of Medicine. “The potential role of thiamine…” Current Diabetes Reviews, US National Library of Medicine. 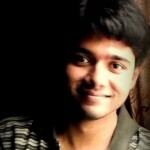 “Thiamine supplementation mood and…”. Psychopharmacology, US National Library of Medicine. “The role of thiamine deficiency in alcoholic…” National Institute on Alcohol Abuse and Alcoholism. “Thiamine nutritional status and…” The Journal of Nutrition, US National Library of Medicine. “Thiamine deficiency in hepatitis C virus…” Digestive Diseases and Sciences, US National Library of Medicine. “Alcoholic liver disease: treatment” World Journal of Gastroenterology, US National Library of Medicine. “Visual loss and optic nerve head swelling…” Clinical Ophthalmology, US National Library of Medicine. “Constipation in patients with thiamine…” Digestion, Karger. “High dose thiamine improves fatigue…” BMJ Case Reports, US National Library of Medicine.